Lenovo has recalled 205,000 extended life battery packs because of a safety risk. But it's not Sony that's under the spotlight this time - it's Sanyo. The Chinese manufacturer says the recall is "in the interests of public safety". "The quantities are a lot lower and it's just one part number this time," said Juliet Stanford-Smith, PR Manager for Lenovo UK. The recall was prompted by the US Consumer Product Safety Commission after about 100,000 of the affected packs were sold there. "If the battery in the laptop is struck forcefully on the corner, such as from a direct fall to the ground, the battery pack can overheat and pose a fire hazard to users. This is not an internal battery cell defect," said the Commission in a statement. 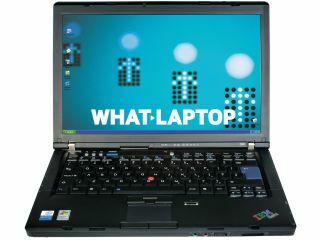 Lenovo has received "four reports of batteries overheating and damaging the notebook," said the Commission. "This caused damage to the notebook, minor property damage and, in one case, minor eye irritation to one consumer." The recalled 9-cell batteries have the part number FRU P/N 92P1131, which can be found on the battery label. The packs were sold as optional and replacement packs, as well as being provided with some new Lenovo laptops. The models affected are listed below. Lenovo previously recalled batteries as part of last year's major Sony battery recall. As then, the company is offering free-of-charge replacements for all the recalled packs. If you have one of the affected models, visit www.lenovo.com/batteryprogram.